Syria, however, retained the strong ties with Moscow that it developed under Assad’s father Hafez in the 1970s. Outside the former Soviet republics, there is virtually no other country that you could consider anything like a Russian ‘client state,’ with the exception of Syria. That’s a big deal for a country resentful that it has gone from a truly global player — culturally, technologically, politically and economically — to regional chump with fading commodity exports, crumbling physical and social infrastructure and an economy one-tenth that of the US economy. Russia, it’s true, has been losing influence in Syria since before the civil war began in 2011. Iran has increasingly become a patron since the 1979 revolution and since the end of the Iran-Iraq war of the 1980s. Russia’s sudden interest in shoring up a fading Assad regime may have something to do with asserting its importance vis-à-vis Iran and Iraq. But it’s more likely to do with the fact that, after a period of stalemate, Assad is losing territory. All three countries have an interest in saving Assad. Iran is a majority Shiite country that prefers the Assad family because it comes from the minority Alawite sect (also Shiite). Iraq, since the fall of Saddam Hussein, has a Baghdad-based government dominated by Shiites that has increasingly alienated Kurds and Sunnis. A Syrian government controlled by the Sunnis that form a majority of the Syrian population, no matter how moderate or how radical, might look to Saudi Arabia, Turkey or Qatar instead of Russia, Iran or Iraq. That explains, in part, the agreement that Russia, Iran and Iraq struck over the weekend to share intelligence on Islamic State jihadists that control much of eastern Syria and western Iraq. Russia’s own concerns about Islamic fundamentalism are also a crucial part of its interest in Syria. Though the Islamic State could one day turn its sights to the United States or Europe, the jihadists seem more interested on asserting their own strength in Syria and Iraq. It’s not pleasant to watch radical Syrians and other jihadists commit atrocities to Muslims and Christians alike, or to behead American journalists or to destroy the 2,000-year-old treasures of Palmyra. 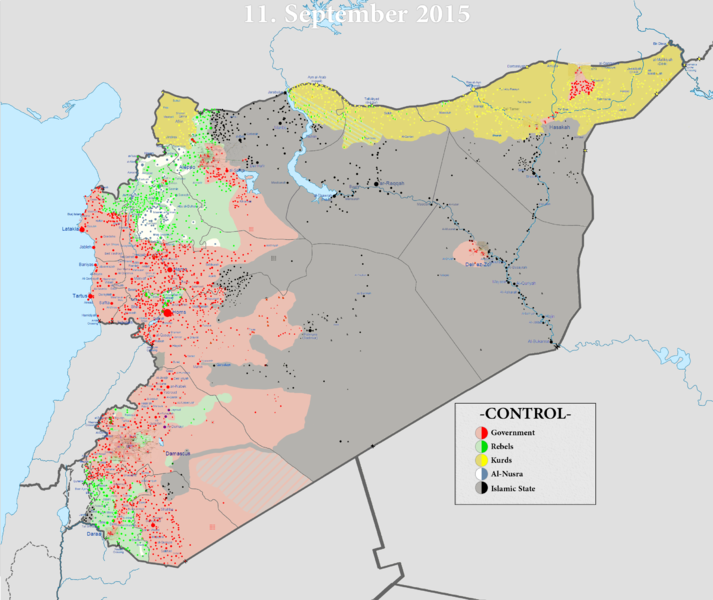 But in relative terms, the Islamic State’s ‘caliphate’ extends over the most sparse parts of both Syria and Iraq. They have not yet taken Damascus, Aleppo or Baghdad because they cannot. Instead, the West and Russia both agree that the greatest risk is the return of battle-toughened jihadist volunteers, born at home and radicalized abroad. That’s been a risk, however, since the war in Afghanistan in the 1980s, which inadvertently mobilized the first truly global call for jihad. To the extent Syria poses such a risk, Russia is most vulnerable to it on the basis of geographic arithmetic alone. Its troubled approach, since the 1990s, to the breakaway republics of Chechnya and Dagestan, could easily draw jihadists within Russia’s borders. It’s just 1,500 kilometers from the Syrian border to the Chechen capital of Grozny. They are focusing their efforts, first of all, on young people and national minorities, partly through the internet. Their rank-and-file followers are interested not only in religious rhetoric but also money. Cases of Russian and central Asian citizens swelling the ranks of the terrorists have become more common. Many are now fighting in Syria. But they will represent the greatest threat when they return home. It’s true that Obama is not pleased about Russia’s sudden military escalation in Syria to bolster Assad, and he made it clear Monday that there’s no realistic way for Assad to rule a reconstructed Syria after four years of bloodshed that began when Assad escalated the violent repression of peaceful protests. That rings true, and it seems too late for Russia to save Assad much beyond any postwar transitional role. That’s why Obama will also probably not be signing up anytime soon to the kind of ‘anti-Hitler’ WWII-era alliance Putin advocates in Syria against Islamic State. But even if Russia might somehow save Assad, Syria’s greater strategic importance to Syria puts the United States in a stronger position, no matter whether Russia succeeds or fails. Obama certainly cannot give a public green-light to Russia’s bid to shore up Assad, but he can do so behind the scenes. 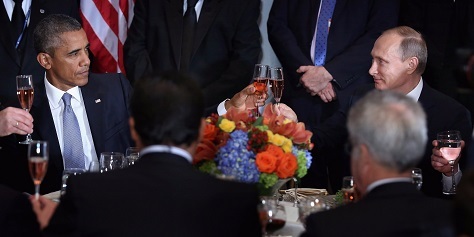 Obama’s blessing, however, doesn’t really matter, because Russia, Iraq and Iran, the other key players in Syria, are all working together to bolster Assad. If Russia is successful, and it pushes back (or, more likely halts further gains of) the Islamic State by strengthening the Syrian military and the Assad regime, so much the better for the United States. Whether you think the Islamic State’s threat to the United States is relatively higher or lower, Russia’s military efforts to retard them will benefit the United States — and all without providing a single military asset or economic contribution. But a Russian quagmire will highlight that the Cold War is over and Russia remains a regional power tussling with other Middle Eastern regional powers. If and when the United States and NATO allies believe that the Islamic State, which hasn’t even managed to take Baghdad or a major Syrian city, is becoming a sharper security risk, they can mobilize against the threat at that time. In the meanwhile, Russia pulls a target away from Europe and the United States and places it on itself. There’s very little downside here, especially given the Obama administration’s reticence to engage either Assad or ISIS militarily. Ironically, that dovetails with Putin’s critique of US meddling in the Middle East. It seems like, at times, Putin’s UN speech was attacking the Bush administration more than the Obama administration, although it was the latter’s efforts that helped oust Muammar Gaddafi in Libya. But Obama, since the first days of his presidential campaign in 2007, has worked to lighten the US footstep in the Middle East, ending US wars in both Iraq and Afghanistan. Aside from drone strikes (which now appear to be in decline versus his first term), Obama’s rare interventions in Syria have been either humanitarian (to assist fleeing Yazidis) or designed to hedge US bets against Assad. Obama’s reluctance to provide training and weaponry to Sunni rebels, loudly criticized in the civil war’s early years by Republican senator John McCain and other more conservative hawks, now seems prescient. To the extent Putin’s UN speech makes a genuine point against the Obama administration, it’s a point that would have been far stronger in a more bellicose McCain administration, and it reinforces the wisdom of Obama’s soft touch on Middle East policy, rooted in its damned-if-we-do-damned-if-we-don’t calculus of US national interests. Moreover, Putin’s speech yesterday didn’t explain how rash Russian intervention will be any better than rash American intervention. Ukrainian quid for Syrian quo? One of the most eye-raising of the few details we have from the 90-minute Obama-Putin meeting is that they spent about half of their time discussing Syria and the other half on Ukraine. Some commentators believe that Putin’s motive for Syrian intervention is a calculated ploy to make the Russian autocrat an indispensable player in international affairs. If he manages to becalm Syria’s civil war, the logic goes, he will have banked goodwill that he can exchange for loosening European and American sanctions against Russia adopted after the 2014 annexation of Crimea. With Russian operatives still causing mischief in the Donbass region, those sanctions remain in place as a disincentive to flouting the 21st century norms of international behavior. To the extent that the US or European governments were making clear their displeasure with Putin, the sanctions were appropriate enough. For all the loose talk of World War III or a new Cold War last summer, no one seriously believed that NATO forces should retake Crimea by force, because defending Crimea lies so far from the core goals of the American and European national interests (however tragic that result for Crimea’s Tatar minority). The same goes for eastern Ukraine, and it’s even hard to imagine that US or NATO troops would intervene if the Russian army marched openly into Kiev tomorrow. 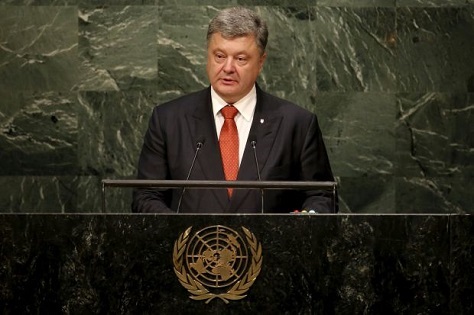 Western leaders know that Ukraine will always, in some way, have delicate ties to Russia. No American president nor British prime minister nor German chancellor wants to commit the lives of their own countries to liberate Ukraine. But it’s equally far-fetched that Putin would launch a new military adventure in Syria just to win the affections of a few Western world leaders and erase some mild sanctions. The Baltic states, which are NATO members, are another story. Unlike Ukraine, which is split between its western ambitions toward Europe and its eastern affiliations with Russia, all three Baltic states were quick to declare independence from the Soviet Union in 1990, enthusiastic to join the European Union and the eurozone and joined NATO in 2004 (the only former Soviet republics to do so). 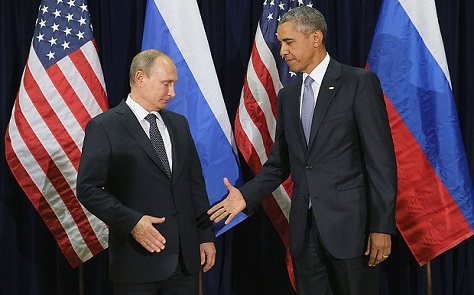 It’s reasonably easy to believe that Putin and Obama spent 45 minutes of their 90-minute meeting discussing what Putin sees as NATO’s encroachment on its traditional sphere of influence (especially as it relates to ethnic Russians in the Baltics and elsewhere), and what Obama fears would become an escalating military disaster in the event of Russian interference there. As much as Western leaders can (and do) look the other way on Crimea and Ukraine, the mutual defense provision of Article 5 of the North Atlantic Treaty would obligate US and NATO action against a Russian attack — say, in the Russian-speaking city of Narva in Estonia. As an umbrella term, ‘Ukraine’ could easily have included the entire topic of ‘avoiding inadvertent war in the former Soviet Union.’ It seems unlikely, however, to include some grand bargain that will bring peace to both Syria and Ukraine.